The 2019 Acura MDX is a mighty three-row SUV with a spacious and feature-packed interior for large families in Melville and Syosset. 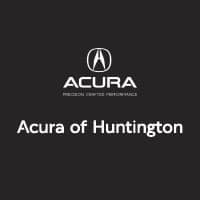 Explore standard features at Acura of Huntington and find out how you can customize your MDX interior with upgrades like the Technology Package or Advance Package. Huntington drivers can take advantage of three rows of seating adaptable to any situation. Standard second-row bench seating allows you comfortably fit seven passengers, but if you want to upgrade for a little more wiggle room in the rear seats you can opt for second-row captain’s chairs, for a six-passenger seating capacity. The folding rear seats mean you also have the option to expand the 15.8 cubic feet of cargo space for up to 90.4 cubic feet of cargo space. A-Spec® Package: Ebony headliner, metal trim, sport seats with perforated premium leather, and Alcantara®-trimmed heated/ventilated front seats. Technology Package: GPS-linked climate control, natural wood trim, and sport seats with perforated leather-trimmed interior and contrast stitching. Advance Package (requires Technology Package): Heated steering wheel, heated second-row captain’s chairs, heated/ventilated front seats, and natural wood accents. Entertainment Package (combined with Technology Package): 11-speaker surround-sound system, 9-inch full VGA screen, two sets of wireless headphones, a removable ceiling-mounted remote control, and more. Entertainment Package (combined with Advance Package): Builds on the Technology Package features with a 16.2-inch ultra-wide full VGA screen with split-screen capability and a 12-speaker surround-sound system. Step into an Acura Interior at Acura of Huntington. Browse our inventory to find a new 2019 Acura MDX for sale near Plainview. When you are ready to learn more about the MDX, like its performance features and driver assistance technologies, schedule a test drive at Acura of Huntington to experience them in person. You can also compare the Acura MDX vs. Acura RDX to explore more Acura SUV options.